The challenge of this project was to pare down the client’s belongings as he prepared to move from the four-story house he had lived in for 40 years, to a 1400 sq. 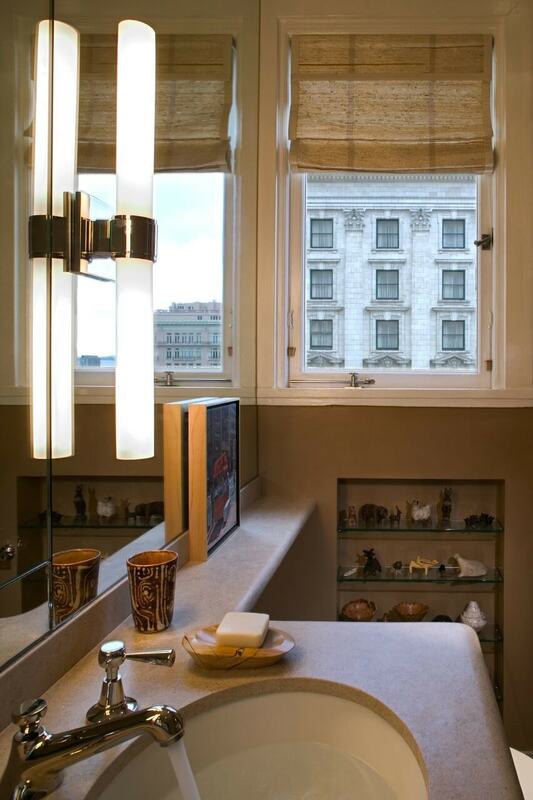 ft. apartment in the iconic Brocklebank Building, at the top of Nob Hill. We started by discussing every piece in his home to decide which items could find a place in his new residence and which could not. This client has very strong opinions; it was a fun challenge to meet all of his requirements and expectations. 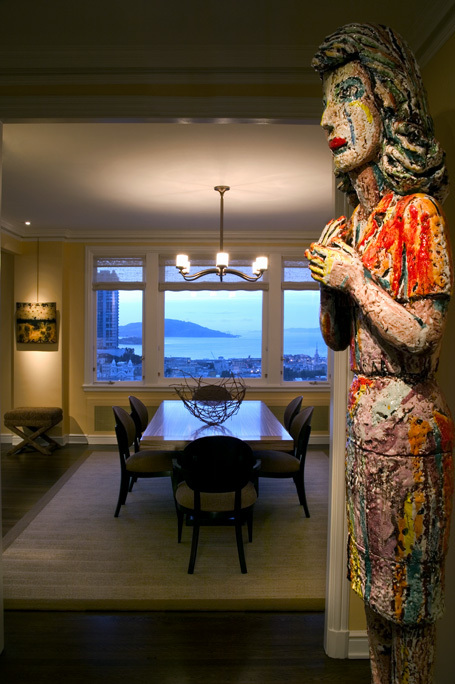 The client’s extensive art collection and belongings embody his memories and bring him joy, so it was important to him to showcase these in his new space. The paint colors were pulled from the artwork; the new space was all about honoring the art. those recommendations, and within five minutes of interview I decided that I wanted to work with him. Until then I had an image that each interior designer had a personal style that could be found in all his or her designs, whereas Robert emphasized that he derived his ideas from the lifestyle, taste and reusable possessions of each client, so that each dwelling he designed was different and embodied what was characteristic of the individual client. That sounded good to me, and as it turned out, we had occasion in the year following to work on two different apartments ― one small gem where I lived as a renter for just seven months, and then a large condo that I bought planning to live there for the rest of my life.